I spent the day in lovely Santa Barbara yesterday. I am so happy it is warm enough to start going to the beach! As you can see Roxy LOVES the beach. 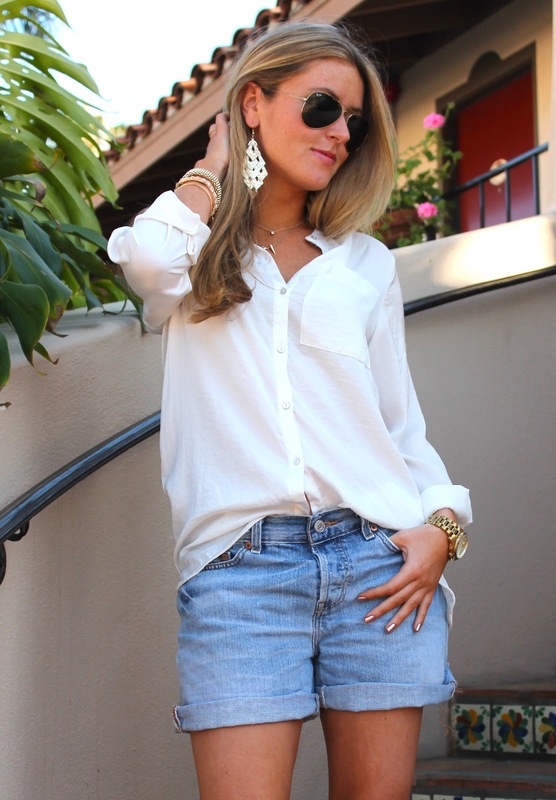 This outfit is so easy breezy, I could practically live in my oversized 501 cutoffs and a comfy blouse. I love that I can so easily go from beach to lunch with a change of shoes. Speaking of shoes, how amazing are these Tildon heels ?! I’m obsessed with them. I love EVERYTHING about this look. It looks like something nicole richie would wear – classic but with a bit of edge. Very chic! WOW! That's a perfect outfit! You look fantastic, love your sandals so much!